Portland is the 5th-worst city in the nation for having your car stolen. PORTLAND, Ore. — According to national and local crime statistics, Portland is one of the worst cities in the country when it comes to how many cars are stolen per person in the city. Sherri Ominski has had her 1988 Toyota Camry stolen five times in and around the Portland metropolitan area over the last 20 years. “So, I bought the club, I was told it was foolproof. Well it’s not, because it was taken twice with the club,” said Ominski. It’s been stolen while she was at work, bowling with friends, in front of her condo and from a hospital parking lot. It was most recently stolen from her mechanic’s shop late last year. Ominski said the woman told police her boyfriend let her use the car. “If he gave her permission to use the car you would have thought he had the keys,” said Ominski. Jessie Kay Miskill was convicted of UUV, unauthorized use of a vehicle, and resisting arrest in early December. She received a probationary sentence. Miskill’s probation was revoked at the end of January after failing to report to her probation officer. As for Ominski, having to deal with this a fifth time was her breaking point. Senator Laurie Monnes Anderson, Deputy District Attorney Ryan Lukin and Gresham Police Captain Claudio Grandjean testified in front of the House Judiciary Committee in support of HB 2328. The law would change the wording in the law, making the excuse of “I didn’t know the car was stolen” no longer valid. Portland was recently ranked fifth for the most cars stolen per population in the U.S. 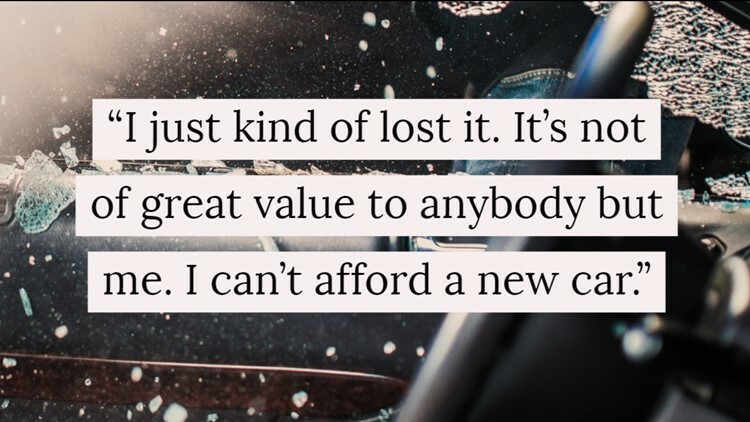 According to data from the Portland Police Bureau, there were 7,562 cars stolen in Portland from January 2018 to January 2019. 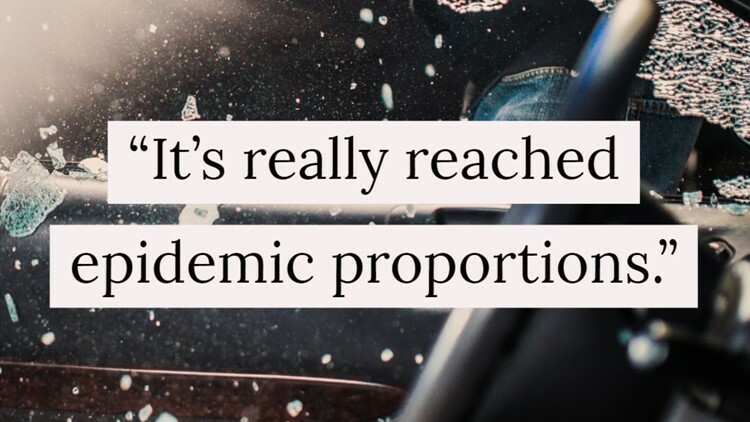 That’s a 6 percent dip compared to 2017-2018, a record-breaking year of 8,073 car thefts in Portland, and an increase of 27 percent from 2016 - 2017 when 5,914 cars were stolen in the metro area. When you look at car thefts across the state, Oregon saw an increase of 53 percent between 2012 and 2017 according to data from the National Insurance Crime Bureau. “It’s really reached epidemic proportions,” said Clackamas County chief deputy district attorney Chris Owen. Owen blames two Oregon court of appeals cases from 2014 and 2015 for making it extremely difficult to prosecute car theft cases. In one case, State v. Ship, 264 Or. App. 391 (2014), the defendant was caught by police in a stolen car, with tools to steal the car including bolt cutters and a case labeled “crime committing kit." And in the second case, State v. Korth 269 Or. App. 238 (2015), the defendant was also caught in a stolen car but told officers he borrowed it from a friend of a friend. 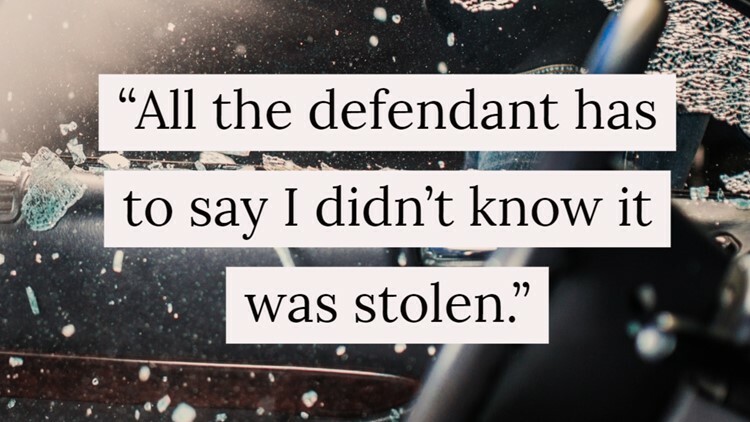 In both cases, the court determined, the state did not prove the person had knowingly taken a stolen vehicle. “You can have a story as to how they came in contact with the car, which lacks all credibility, and that still may not be enough,” said Owen. According to the National Insurance Crime Bureau (NICB), comparing two years prior (2012) and post (2017) the Shipe and Korth cases, every Oregon Metropolitan Statistical Area, except for one, experienced an increase in vehicle theft, ranging from an increase of 16.22 percent to 79.31 percent. Senator Laurie Monnes Anderson represents Gresham, number 8 on the list of worst places for stolen cars. Monnes Anderson just introduced legislation that she says would close the loophole in the law making it easier to prosecute car thieves and making the excuse of “I didn’t know the car was stolen” no longer valid. House Bill 2328 has been introduced and assigned to the House Committee on Way and Means. KGW will continue to follow any developments.